We are an authorized dealer for most of the major financial institutions in Canada. New or used, we shop the money market to offer you the best available rates including Honda Finance Services. Extra Peace of Mind is a Comforting Thought. With Honda Plus you can prolong your worry-free pleasure on Parts, Components and Roadside Assistance even further. 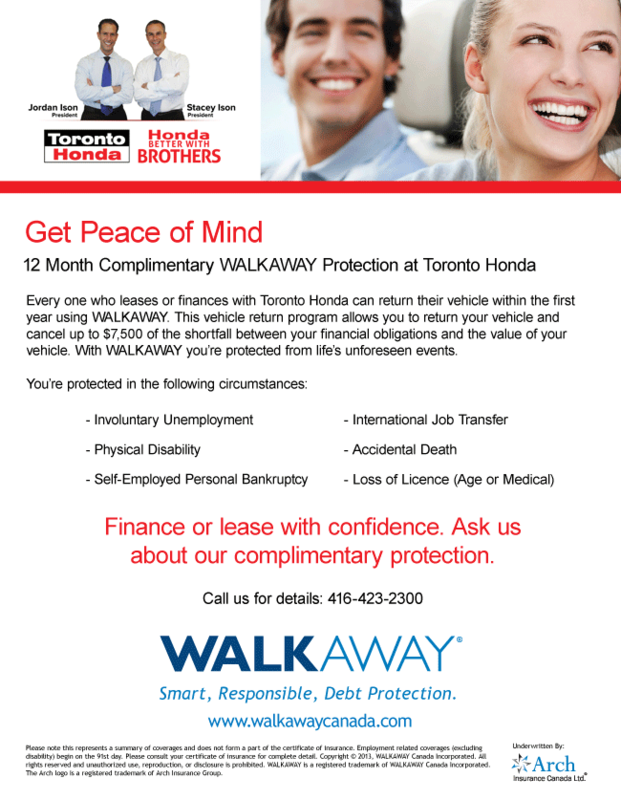 We shop the money market to offer you the best available rates including our own Honda Canada Lease. All Honda Canada Finance Leases are ‘gap protected’. This covers the difference between your cars actual value and its book value in the event the vehicle is written off due to an accident. This feature alone could potentially save you thousands of dollars. Lease plans can be structured to fit your budget. No down payment plans are also available. At lease end, you choose to either purchase the car, or simply walk away. If you do decide to purchase, we can help you re-finance your vehicle. My Honda – All You Need To Know About Your Honda! Access your vehicles specific information 24/7. You’ll find valuable warranty, maintenance and campaign information, plus current Honda Canada Finance and extended warranty account information. Register now. It’s fast, it’s easy, and it’s free! Worried about job security? 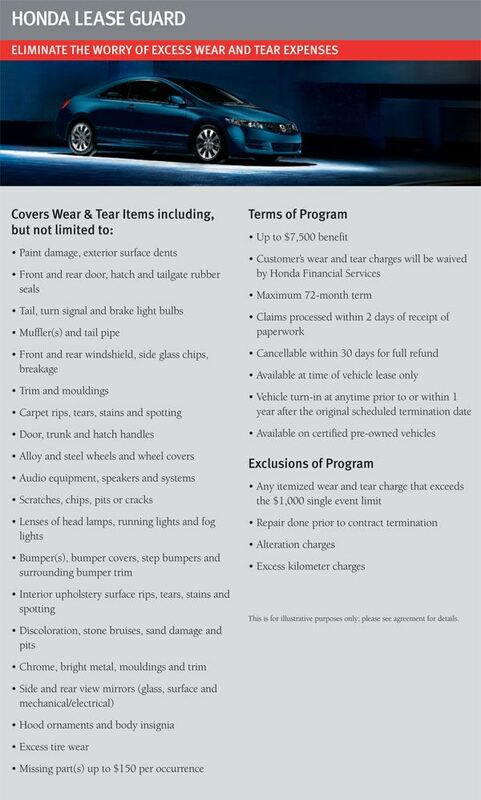 Find out more about our free vehicle return policy.